The reception area is conveniently located where the access paths for all villas meet. Here you can find information on all the activities and services available during your stay. 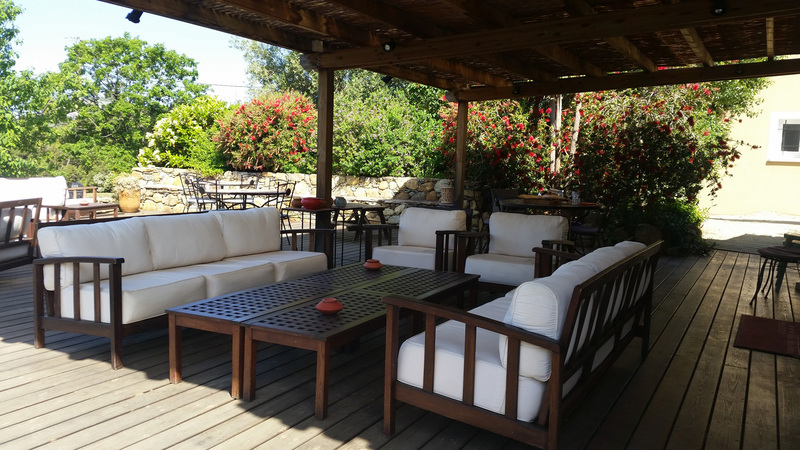 It's an open space with a decked terrace and a comfortable bar with deep armchairs overlooking the pool. Children can divide their time between the heated swimming pool and nearby play area, with a slide, swings and enclosed area for table tennis. 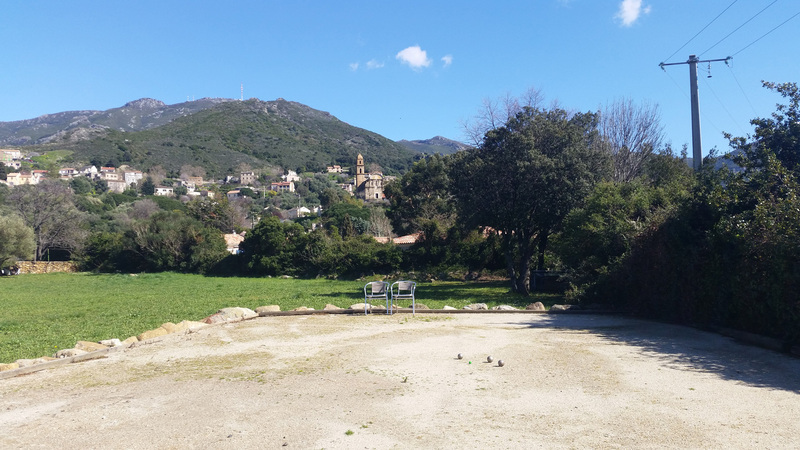 After an unforgettable trip to the white sandy Agriates beach in the complex?s private boat, parents and friends can meet for a game of ?petanque? or ?boules' with their evening aperitif. Nothing will get in the way of your real Corsican holiday. You and your family will enjoy a quiet comfortable stay where the magnificent scenery and leisurely pace will be a real break from day to day life. The services we provide help to free up your time, so you can concentrate on enjoying your stay and recharging your batteries. We can arrange a ?premier? food basket for you in your villa when you arrive, so you can enjoy local produce and get straight into the holiday atmosphere without having to worry about supplies. You can also get away for some peace and quiet. Escape to the fine, sandy beaches of Agriates in the complex?s own boat, swim in the island's famous clear, turquoise waters, or picnic from your cool box under the beach umbrella provided. It?s an unforgettable way to spend a day and the only thing you absolutely have to do is get back on the boat! For lovers of the island's picturesque mountain paths and wild coastline, mountain bikes are available for hire. Cycle round the island and enjoy the natural environment, stimulating all your senses with sea and mountain views or ?mare e monti? as the locals would say!